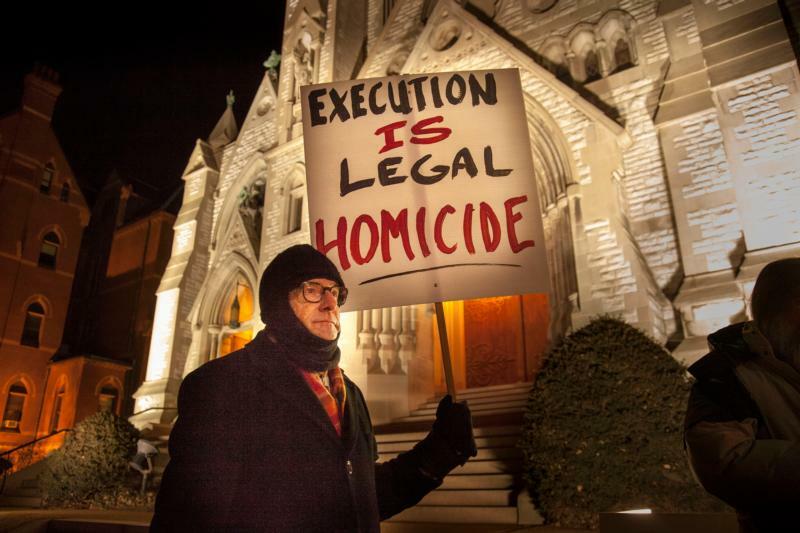 WASHINGTON (CNS) — Changes in law and public opinion have had their role to play in the quest to end capital punishment in the United States, but Catholic teaching also has played a part, according to Robert Dunham, executive director of the Death Penalty Information Center. The revision to section 2267 in the Catechism of the Catholic Church, which took effect Aug. 2, calls capital punishment “an attack on the inviolability and dignity of the person,” and commits the church to work “with determination” for the worldwide abolition of the death penalty. It was not the first time the catechism had been revised in conjunction with capital punishment. The 1992 catechism originally said: “The traditional teaching of the church has acknowledged as well-founded the right and duty of legitimate public authority to punish malefactors by means of penalties commensurate with the gravity of the crime, not excluding, in cases of extreme gravity, the death penalty.” At the same time, it said “bloodless means” that could protect human life should be used when possible. “The revisions to the catechism are very significant for abolitionists. And they’re significant both symbolically and in a practical manner. Symbolically, Pope Francis has become a moral beacon on this issue, even more so than John Paul,” Dunham said. “I was talking with Cardinal (Blase J.) Cupich (of Chicago); we did a podcast with him. He and I were on a panel in Chicago — the date, coincidentally, the date the catechism was changed — and Cardinal Cupich was explaining the evolution of Catholic theology on this issue. What Pope Francis has done is not just consistent but is the logical extension of John Paul’s teaching about the death penalty and Pope Benedict’s statements against the death penalty,” he added. Dunham told CNS the real-world effects of the revision are being felt. The center Dec. 14 issued “The Death Penalty in 2018: Year-End Report.” In it, it noted that only Oklahoma, Missouri and the U.S. government increased the number of prisoners it had on death row in 2018. The number of prisoners on death row nationwide went down, a streak that started in 2001. Even in states where the death penalty is permitted, it requires prosecutors in counties to seek it in criminal trials. According to the report, 11 county prosecutors of the 30 counties where capital punishment is most often sought have been removed since 2015, including six this year in Dallas and Bexar (San Antonio) counties in Texas, Orange and San Bernardino counties in California, St. Louis County in Missouri and Jefferson County (Birmingham) in Alabama. Washington became the 20th state to outlaw capital punishment when a court banned it Oct. 11.